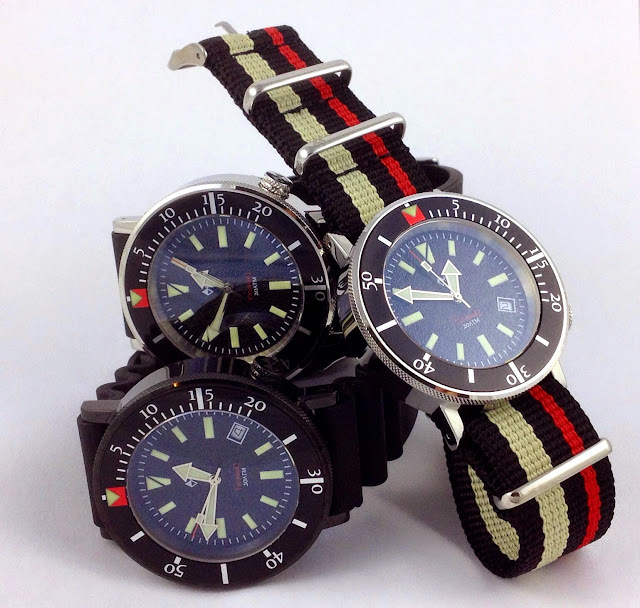 Maybe it is something in the air, but today is a primo day for crowd funded watch projects. The Time Bum has carefully combed the offerings in Kickstarter and Indiegogo, and found some tasty projects for you to consider. Today, Rossling & Co. launches their new automatic dress watch on Kickstarter. It features a Miyota 9015, sapphire crystal, and screw down crown, all packaged in a slim case, 40mm wide and a mere 9mm thick. I was lucky enough to get my hands on one and was quite impressed. You can read a full review of this watch and its quartz companion here. List price will be $499 and pre-orders start at $359. I sampled the first MWW project a couple of months ago. It failed to fund, but I thought they showed real promise. Now, Vermont's own has come back strong with the new TatoskoQ. 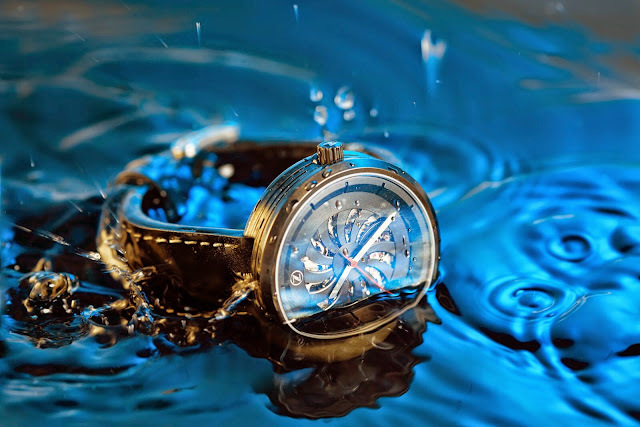 This 42mm, 200 meter dive watch is named for the mythical water beast of Lake Champlain. It features a Swiss Ronda 715Li, screw-down crown, decorated case back, C3 lume, and a sapphire crystal with anti-reflective coating. MSRP will be $358, but you can pre-order yours on Kickstarter for $198. From the fertile imagination of Gabriel Menard comes the new Type 50, the third offering from Division Furtive. It continues the retro sci-fi design set by its predecessor and features a stainless steel case, motion activated LEDs, improved battery life, an operational flowchart on the back and an integrated flashlight. 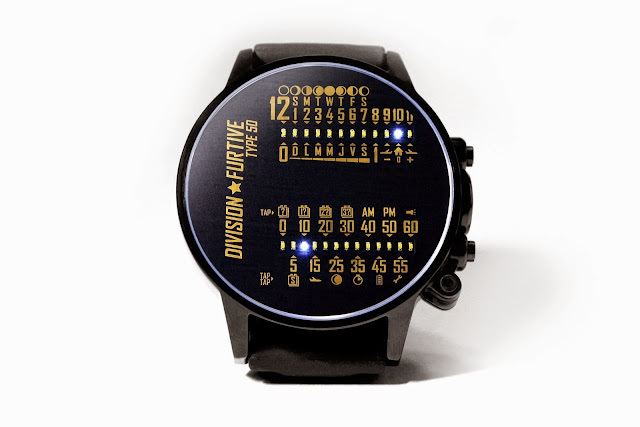 A very cool function is the ability to set the watch using a light sequence from a computer or smart phone. Full retail will be $395 CAD, but early backers can get one starting at $195 CAD (@ $173 USD) on Kickstarter. Alex and Andy of Berline have created a traditional slim quartz dress watch with a colorful variety of straps. The straps are genuine Harris Tweed from the Quarter Herbrides in Scotland. Spun from virgin wool and dyed in a dazzling array of colors, they promise to be a satisfying addition to your winter wardrobe. 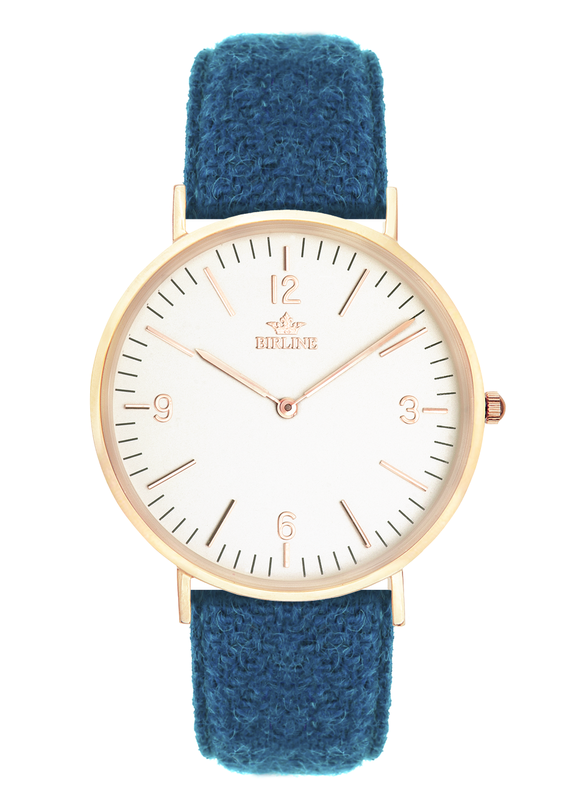 The watch is a traditionally styled three hand, with a Ronda 762 quartz in a slim, gold plated stainless steel case, 40 wide and just under 7mm thick. 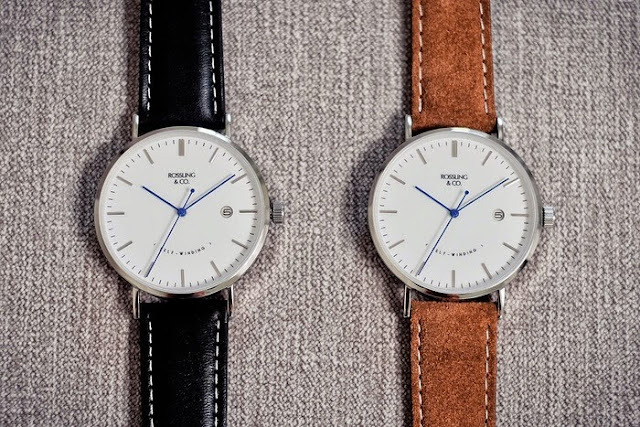 Kickstarter pre-orders start at £59 ($99) for the watch, and £15 ($25) for a strap alone. In 19th century France, the flâneur was a man of leisure, an urban sophisticate. 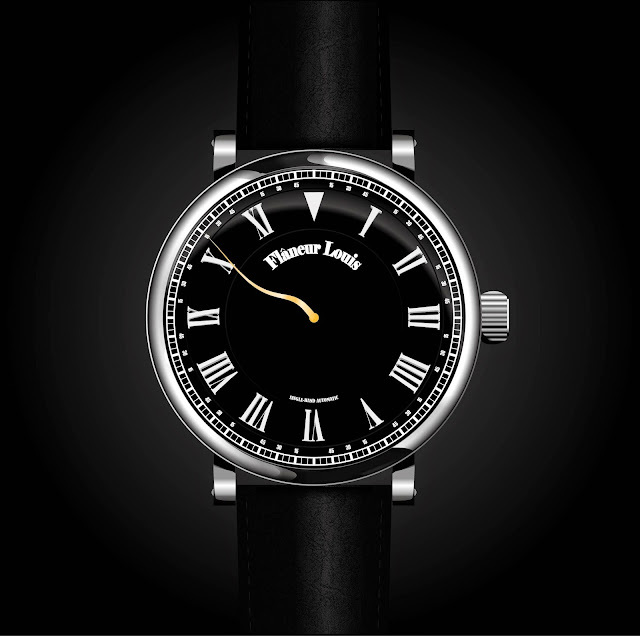 Flâneur Louis watches strive to capture this unhurried essence in their debut watches, the Saunterer and the Boulevard. Both are relatively conservative designs featuring a black dial and Roman numerals set in a round, 43mm stainless steel case, under a sapphire crystal; however, a long and sinuous minute hand breaks the traditional mold and offers a welcome whimsical flourish. The Boulevard hews to a two-hand model with SuperLuminova hands and markers. The Saunterer strays ever farther from the norm as it has only one hand, marking a leisurely 12 hour journey around the dial. Both use the Miyota 8N24 automatic movement, visible through the display case back. Early backers can get theirs on Indiegogo for $280. Just in case you missed my earlier article, Zelos launched the Chroma and Chroma Skeleton Kickstarter campaign on October 1. You can read the full preview here, but I should mention that they are already well on the way towards tripling the original funding goal! If you move fast, you may still get one for $249. 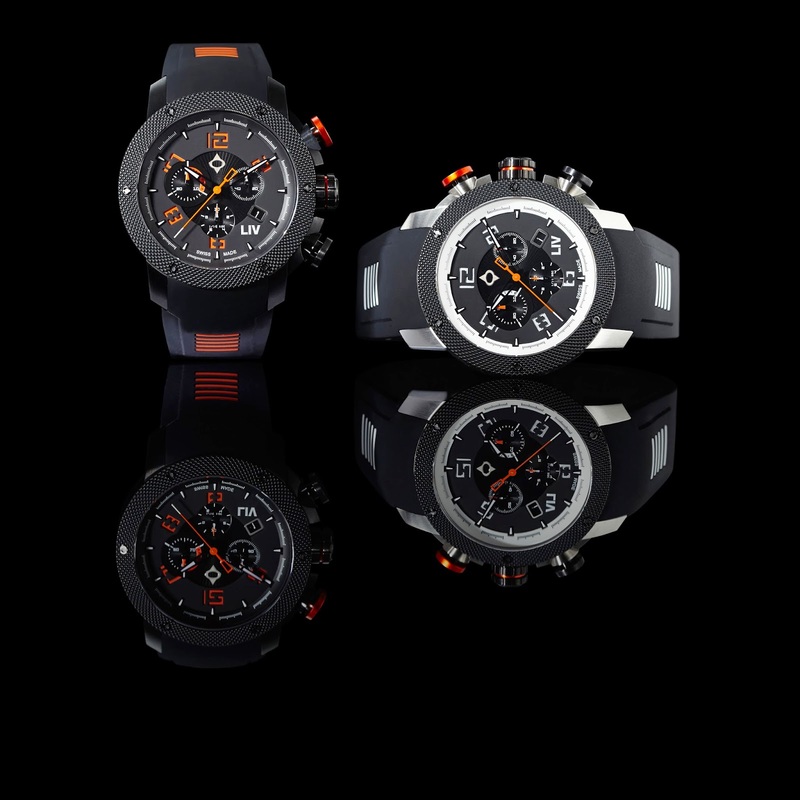 Finally, we have LIV Watches, a quartz chronograph designed for an active lifestyle. The LIV Genesis X1 has a 45mm stainless steel case, 300 meters water resistance, a multi-layer dial, sapphire crystal, SuperLuminova, and a Ronda Startech 5040.D movement. It is big, bold, aggressive, and selling like hot cakes on Kickstarter. Early bird specials are gone, but you can still get yours for $390.